The man is believed to be Iraq war veteran Benjamin Colton Barnes, a 24-year-old believed to have survivalist skills. 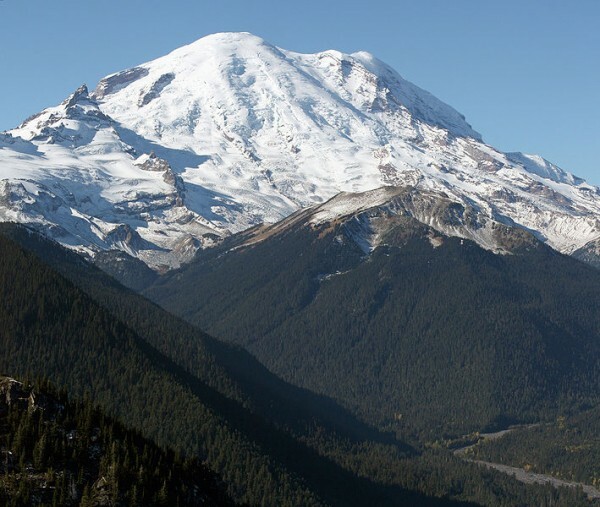 A man is running wild on Mount Rainier after killing a park ranger. An armed man is on the loose tonight on Mount Rainier after shooting a park ranger to death. The man is believed to be Iraq war veteran Benjamin Colton Barnes, a 24-year-old believed to have survivalist skills according to Pierce County Sheriff’s spokesman Ed Troyer. The Mount Rainier park will remain closed Monday as up to 150 police officers attempt to hunt down the killer with heat seeking aircraft to detect the suspect’s body heat. Barnes’ ex-wife said that he was suicidal, angry and depressed and kept an arsenal of weapons at home. He was involved in a bitter custody dispute over their child and she said Barnes may have gotten PTSD after returning from the Iraq War. Barnes is also believed to have killed 4 people earlier at a house party south of Seattle. Visitors were being denied entrance to the park as others were escorted away from danger.